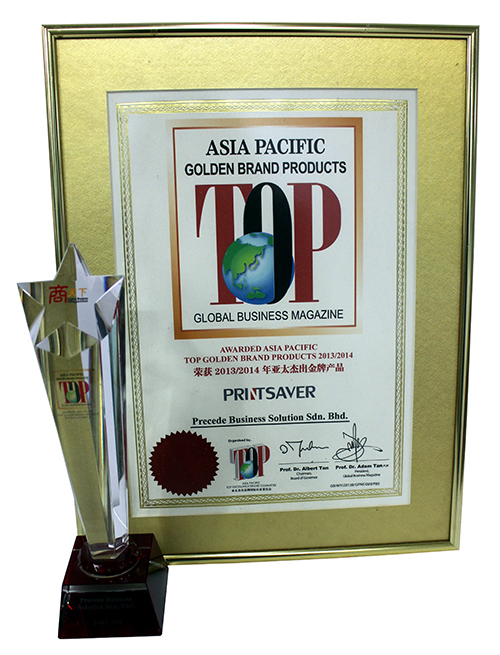 Our in-house brand of printer compatible toner and ribbon cartridges, Printsaver, was awarded the “Asia Pacific Top Golden Brand Products 2013/2014”, proving itself to be a top-notch toner cartridge. The core to our products is the manufacturing process in our ISO9001 and ISO14000-certified factory. Secondly, most of our toners are brand new manufactured toners and are comprised of unused parts like casing, pcr, mag sleeve, doctor blade, wiper blade, and drum. These factors ensure that PBSSB is always providing clients with high-quality products. Clients save more than 50% on their total printing cost when they use our quality-controlled Printsaver toner cartridges. Additionally, we offer FREE maintenance service for customer’s printers and FREE printer program based on the client’s actual usage study. 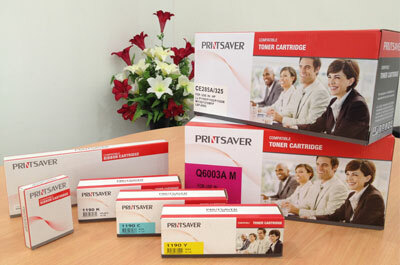 Since our establishment in 2008, PBSSB has been distributing Printsaver toner and ribbon cartridges to dealers in the market such as computer stores, office automation dealers and office supplies resellers. Printsaver toner cartridges are guaranteed against direct damage to your Laser printer as the cartridges do not make any physical contact with the interior parts of the printer in the printing process. Page yield (print volume) on all models is indefinite as it depends on your printing routine. We allow 10-15% on the total page yield compared to original cartridges. Toner coverage is counted based on an average 5%.